Quirky Question #267: An Equine Accommodation? Question: Our employee regularly uses a service dog in our office, which helps him with stability and maintaining balance around the office, which can be challenging for him due to several medical conditions he has. However, yesterday he came in and said he would like to use a miniature horse as a service animal instead of the dog, because it is preferable given his tall stature, among other reasons. We were fine with the dog – who doesn’t love an office dog? But a horse, really? Do we have to accommodate this? Interesting you should ask, actually, because the use of miniature horses as service animals was recently addressed by the Sixth Circuit. In Anderson v. City of Blue Ash, 2015 WL 4774591 (6th Cir. 2015), Ms. Anderson is fighting her local municipality so that her daughter can utilize a miniature horse as a service animal in the family’s backyard. The daughter, who has a variety of disabilities, including autism, seizures, chronic lung disease, gastroesophageal reflux, feeding and vision problems, severe allergies, attention deficit hyperactivity disorder, developmental delay, autonomic dysfunction, and tachycardia, uses a miniature horse to help her balance. Her difficulty balancing is one symptom of her disabilities, and is particularly challenging when she needs to change directions or move on uneven surfaces. Accordingly, without assistance, Ms. Anderson’s daughter cannot use her own backyard for recreation or exercise. They have significantly longer lifespans than dogs, greatly reducing the need for training multiple dogs. 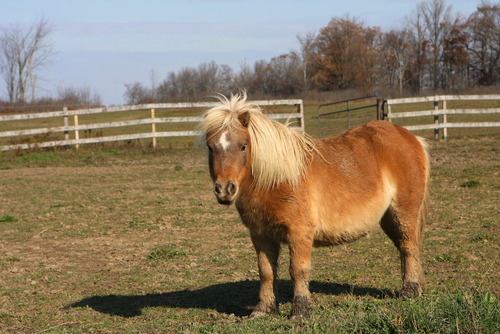 Ms. Anderson’s municipality, the City of Blue Ash, purportedly received a number of citizen complaints over the last few years regarding the miniature horse, Ellie, being kept at Ms. Anderson’s residence. In fact, in 2013, the City Council passed an ordinance specifically amending the municipal code “to prohibit keeping of farm animals at residences within the city.” Ms. Anderson brought suit against the City, alleging that the City’s refusal to permit her to keep the horse at her residence violated her rights under Title III of the ADA, which pertains to public accommodations. 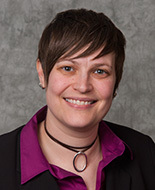 Similar to Title I’s requirement that employer’s provide reasonable accommodations to their employees with disabilities under certain circumstances, Title III requires that public entities make reasonable modifications to their policies, practices, or procedures, when such modifications are necessary to afford privileges, advantages, or accommodations to individuals with disabilities. In order to prevail on her ADA claim, Ms. Anderson must demonstrate (1) that Ellie the Horse meets the ADA’s requirements that she be individually trained to do work or perform tasks for the benefit of an individual with a disability; and (2) satisfaction of certain assessment factors establishing that “reasonable modifications” can be made to allow a miniature horse into a specific facility. 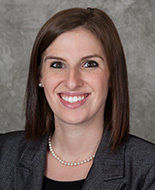 The Sixth Circuit determined that disputed fact issues remained on both of these issues, reversing the lower court’s grant of summary judgment and permitting Ms. Anderson’s ADA claim to move forward. While Ms. Anderson’s claim and the issues involving Ellie the Horse arose under Title III of the ADA, pertaining to public accommodations, and do not directly impact employer’s obligations under Title I of the ADA, they are a good reminder of the affirmative obligations employers have to engage in an interactive process regarding potential reasonable accommodations and to make such reasonable accommodations, unless the accommodation would impose an undue hardship on the employer’s business. Ellie the Horse also reminds us that the interactive process should be individualized to address the specific circumstances at issue with the specific individual in the specific position, and that employers should approach the process with an open mind. The process should involve a dialogue and exchange of information between the employer and employee, and perhaps health care providers and other professionals who can offer useful information. The goal is to help the employer identify the specific employee’s limitations resulting from the disability, and determine whether there are reasonable and effective accommodations that could overcome those limitations. These are just a few examples. If you would like assistance in engaging in the interactive process with your employee or determining what may be “reasonable accommodations” for your specific employee in his or her specific position within your organization, please contact us.